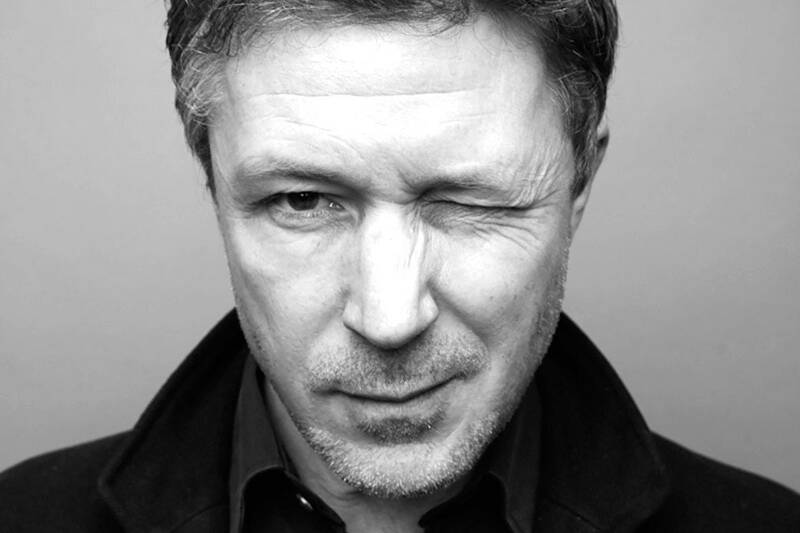 Aidan Gillen Wife, Family, Age, Net Worth, Height, Is He Gay? Home Actors & Actresses Aidan Gillen Wife, Family, Age, Net Worth, Height, Is He Gay? Lovers of the America fantasy series, Game of Thrones (GOT) would be familiar with the name Aidan Gillen as he played the vicious, cunning wise man; Little finger in the series. Aidan is not a novice on set as he started acting way back as a teen and has appeared in a number of other movies but gained prominence after that single role in GOT. Find out more about the actor below including the debated question about his sexuality. The actor was named as Aidan Murphy at his birth on the 24th of April, 1968 in Drumcondra, Dublin in the province of ‎Leinster, Ireland. Aidan has never mentioned the names of his parents, however, sources say that his dad worked as an architect while his mom worked as a nurse. Adian’s race is Caucasian while his nationality is Irish. Regarding his education, Aidan Gillen was a scholar at St. Vincent’s C.B.S. in Glasnevin and it was there, he made the first steps into being an actor as he was very active with the Dublin Youth theatre group. With the group, he got a lot of roles and was just perfect playing on set. The young thespian played the role of Nick Bottom in the group’s Project Arts Centre production of A Midsummer Night’s Dream. Aidan Gillen began making appearances in minor roles in films such as The Drip (1985), The Lonely Passion of Judith Hearne (1987), and The Courier (1988) before getting considered for lead roles. He subsequently earned lead roles in Belfry (1993), Circle of Friends (1995), and Some Mother’s Son (1996). Despite all these, Aidan’s rise to fame in the industry happened gradually, it was with his role as Stuart Alan Jones in the television series, Queer as Folk that pushed him to the limelight. For that role, Aidan Gillen was nominated as the Best Actor for the British Academy Television Award in the year 2000. His role as Harold Pinter in the drama series, The Caretaker saw him through the nominations for the Tony Award in 2004. While he was not fortunate to have won the Tony Award, Gillen’s acting stints displayed in the series caught the attention of the producers of the HBO series; The Wire. He later played as Tommy Carcetti in the show. After having starred in movies like 12 rounds (2009) and Treacle Jr. (2010), Aidan Gillen played as the vicious, cunning wise man; Little Finger in the American fantasy drama television series; Game Of Thrones (GOT). He was a recurring star in the series until his character was killed in 2017, precisely in the seventh season of the film. In between the period, he played as a cast in GOT, he bagged a few other roles including playing as Barry Weiss in the horror film Wake Wood as John Boy in the critically acclaimed Irish crime-drama, Love/Hate for which he was nominated for his third Irish Film & Television Award nomination. Other movies he starred in includes; The Dark Knight Rises (2012), Shadow Dancer (2012), Mayday (2013), Ekki Múkk (2012), The Scorch Trials (2012), Bohemian Rhapsody (2018) to mention a few. Net Worth – How Much is Aidan Gillen Worth? We are almost certain that most of the cash made by the Irish actor comes from his many acting gigs. He started acting as a teen and has grown on stage. Apart from acting on set, Aidan Gillen has also lent his voice in various roles playing behind the scenes. It is believed that he has a net worth of about $8 million. There have been conflicting reports on how Aidan Gillen met his heartthrob, Olivia O’Flanagan; a woman he married in the year 2001. Some say that the two have been childhood friends while others say that they met the very same year they took their vows, anyways, to the best of our knowledge, until their separation, the couples were perfect together. With her, he has two children, a daughter; Berry Murphy and a son; Joe Murphy. After separating from his wife in 2015, the actor was spotted with Camille O’Sullivan who he is currently dating. Aidan’s sexual orientation became questioned after he played as Gus in the television series, Freefall. In the series, Gus was a successful banker who lived life strangely but was a staunch masturbator. Sources also say that because of his looks, he is admired by both the male and female folks, however, in all of these, the Irish actor has publicly declared that he is nowhere close to being gay and has a straight sexual orientation. Aidan Gillen’s stands at 5 feet 9 inches or 1.8m. He has a slim body build and is black-haired with blue eyes. The actor weighs 68kg or 150lbs. His other measurements are chest – 41 inches or 104cm, arms/biceps – 14 inches or 35.5cm, waist – 33 inches or 84cm.